· Dogs are not permitted to run loose and must be kept on a leash when visiting a park. · The City enforces a “pooper scooper” law and provisions must be made to remove solid waste. · No glass bottles permitted. · Sound systems and loud noises are prohibited. · Motor vehicles are permitted in parking lots only. · Trash receptacles are provided for park refuse only. · Parks close at 10:30 pm nightly and reopen at 5:00 am or as posted in individual parks. · Driving golf balls in University City parks is prohibited. 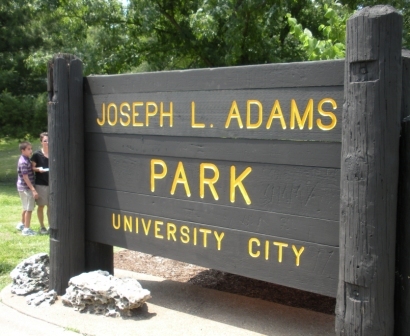 · City and State laws apply in all University City parks. · Firearms are prohibited in all University City parks. · Permits must be obtained for athletic field and picnic pavilion use. Located in the 1500 block of North 82nd Blvd. Our Park Maintenance and Forestry Divisions are also located in Heman Park.